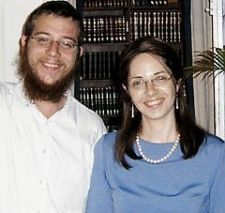 Rabbi Nachman Holtzerberg, the father of Mumbai Chabad emissary Rabbi Gavriel Holtzberg who was murdered along with his wife Rivka and four others, will speak in London this weekend and early next week. Holtzberg will appear on Sunday as guest speaker at a farbrengen - a Chassidic gathering - held in honour of Yud Gimmel Tammuz – the day which commemorates the liberation of the Previous Lubavitcher Rebbe, Rabbi Yosef Yitzchak Schneersohn, from prison in 1927. The following day, he will address members of Lubavitch women’s organisation, N’shei Chabad, in the Beis Chanah community centre. Holtzberg, originally from Israel and now a resident of Crown Heights, New York, spends his time visiting Jewish communities raising money to rebuild the Mumbai Chabad House and support his orphaned grandson, Moshe Holtzberg, who was miraculously saved by his nanny, Sandra Samuel. Farbrengen (Chassidic gathering) in honour of Yud Gimmel Tammuz. Guest Speaker: Rabbi Nachman Holtzberg - father of Rabbi Gavriel Holtzberg. Monday 14th Tammuz, 6th July. Followed by a Halacha Shiur on the Three Weeks given by Dayan L Y Raskin.